The War of 1812 records contain more than just the Name, Rank, and Serial Number (minimum information required to give in the event of capture) of the veteran. This webinar will focus on the various documents that might be found in the Pension records of The War of 1812 veterans, how they might be used to overcome brick walls in genealogical research, and about the Preserve The Pensions project (www.preservethepensions.org). Join us and Rebecca Whitman Koford for the live webinar Wednesday, March 2, 2016 at 2pm Eastern U.S. Register today to reserve your virtual seat. Registration is free but space is limited to the first 1,000 people to join that day. Before joining, please visit www.java.com to ensure you have the latest version of Java which our webinar software requires. When you join, if you receive a message that the webinar is full, you know we've reached the 1,000 limit, so we invite you to view the recording which should be published to the webinar archives within an hour or two of the event's conclusion. In preparation for the webinar, download the supplemental syllabus materials here. The syllabus is available for annual or monthly webinar subscribers. Log in here or subscribe here. Rebecca Whitman Koford holds a Certified Genealogist® credential. Her focus is in American research with special emphasis in Maryland. She has been interested in genealogy ever since the age of five, when she could read her parents’ collection of old handwritten family group sheets. Rebecca has been taking clients and lecturing since 2004. She has spoken for the Maryland State Archives and for groups in Maryland, Virginia, New Jersey, Pennsylvania, Washington, D.C., and Delaware. She is a board member of the Maryland Genealogical Society and volunteers at the Family History Center in Frederick, Maryland. She has published articles in the NGS Magazine and the Maryland Genealogical Society Journal. She is a graduate of the ProGen Study Group, an online peer-led study program based on the book Professional Genealogy by Elizabeth Shown Mills; she was appointed ProGen Administrator in January 2015. Rebecca is very enthusiastic about the Preserve the Pensions: War of 1812 project sponsored by the Federation of Genealogical Societies (FGS). Rebecca lives in Mt. Airy, Maryland, with three active teenagers and a very patient husband. This was the chart I created of my ancestors who came west via the Oregon Trail. I demonstrated how to make this as part of the after-webinar party the other day. 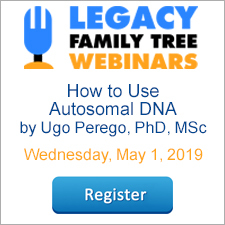 If you missed the step-by-step process of how I created this in Legacy Family Tree, jump ahead to the "After-webinar party" in the Table of Contents in this webinar (Table of Contents is available for webinar subscribers). In Legacy Charting, click on the Order Chart button. Then, make any adjustments to the sizing of your chart, and then in the Order Options panel, select your paper type, size, and quantity. The exact costs are displayed so there's no guessing. Too expensive? Resize the chart a little bit and you'll be able to see the updated pricing in real time. When you're ready, click the Purchase Chart button and fill in the information. The chart file is then sent to our chart printers, Family Chartmasters, for printing, and before you know it, the chart will arrive at your front door. Learn Microsoft Word for free! The recent Getting Started with Microsoft Word class by Thomas MacEntee has gotten such rave reviews that we've decided to keep it free - indefinitely! "Absolutely fantastic webinar. I've used Word for years on lengthy documents and learned so much today that will help me. His webinar was better than all the books I have on how to work with Word." "Awesome! I knew some of these tips, but Thomas has added so much more. Thank you. My Word editing will go much faster and smoother. :)"
"Excellent webinar!! I've been using Word for 30 years and learned new things I didn't even know were possible (or never took the time to investigate), especially the Styles and Format Painter. I look forward to watching the rest of the Word webinars. Thank you for doing these." "I almost didn't sign up for this "Getting Started with Word" I have used Word for years and years. But I hoped for a few tips. OMGoodness. I got way more than I expected. Thomas made it seem so easy. He never talked down to us. He genuinely wants us to learn. He repeated the process (steps) after demonstrating. Great teacher. Great webinar. Thanks Geoff and Thomas"
"Thomas never disappoints. He made using Microsoft word look so easy. The examples he provided were easy to follow. He made sure the viewer knew how to do it themselves when they left the webinar. One of the best I have watched. Thank you!" This first introductory class provides answers to many of the most common yet frustrating challenges for every day Microsoft Word users. And as the reviews above point out, Thomas makes it easy for everyone to learn. Getting Started in Microsoft Word is the first in the new Microsoft Word Series that was created specifically for FamilyTreeWebinars.com subscribers. The series will teach you everything from Formatting Basics, to Understanding Headers and Footers, to Creating and Using Templates - and much more! Enjoy the free class on us! We know you're going to get a lot out of this class! We're convinced that you'll like this class so much that we think you might even want to sign up for a membership. Genealogists have strong opinions. But are they always correct? One recent discussion began after a seemingly simple question -- were there naming patterns for children in the 1800s in [fill in blank with any country]. Genealogists began to respond with their opinions. Almost all gave a simple YES or NO. Some provided reasons or rationale or examples to support their YES or NO stance. But no one jumped in with "Maybe... Sometimes... It depends… Yes, but...."
Let's get real! Naming patterns existed. That is correct. Historically parents often named a child in honor of a relative – father, mother, grandfather, grandmother, or other family member. Did all countries have strict naming pattern conventions? No. Did naming patterns follow the same rules over the centuries? Were naming patterns in one country during the 16th century identical to naming patterns in the 19th century? No. Were existing naming patterns used by all families? No. It's easy to forget that our ancestors were people like us. They fought, they loved, they cried, they laughed, they had good days, they had bad days, and they made decisions for many of the same reasons we make decisions – including what names to give their children. Even if there were established naming patterns that were used most of the time, as is the case with the Dutch who settled in the 17th century in what is now New York, as researchers we must keep an open mind as to whether or not the customs were always followed. Perhaps your ancestor fought with his father or mother and vowed to never name a child in their honor. Perhaps your ancestor was a free spirit and loved the name Lancelot so broke with tradition even though the first born male in her family had been called James for the last ten generations. Perhaps your ancestor wanted to cozy up to his rich great uncle so he named his first born son after that person instead of his father.... and gave his second born his father's name. Perhaps the birth parents had died young and one of the spouses wanted to honor their adoptive parents. If you find seven children in a family and six are named after known family members such as paternal grandparents, maternal grandparents, aunts, and uncles, then there is a good chance that the seventh was also named after a family member. However it’s important to remember that this is not guaranteed. The couple might have named that child after a good friend, or an important contemporary person, or a benefactor. Let’s look at a different scenario. In your research you are trying to find the names of the parents of your great-great grandmother. You have a theory as to who her parents are. Then you notice what looks like a naming pattern of her siblings. This pattern fits with the parents you theorized are the correct parents. But one parent's name is missing from the pattern. What to do? That's not the time to toss out your theory! There may be a missing child, one whose existence you aren't aware of, or who died. That child may be the missing link, and may be named after that one parent who is missing from the pattern. Think about this the next time you are tempted to accept an absolute and emphatic yes or no to the question “Do Naming Patterns Exist?” The editor of the New York Biographical and Genealogical Review told me once that absolute answers are never a good idea and that one should always leave oneself some “wiggle room”. In other words don’t back yourself into a corner by giving an absolute answer. There are often exceptions to rules. So be sure you leave yourself some wiggle room next time you answer a question, and if you are the person asking the question, take absolute answers with a grain of salt. Use naming patterns as a guide. That's all they are, they are not a set of rules set in stone. Lorine McGinnis Schulze is a Canadian genealogist who has been involved with genealogy and history for more than thirty years. In 1996 Lorine created the Olive Tree Genealogy website and its companion blog. Lorine is the author of many published genealogical and historical articles and books. A well versed genealogist told me that when you lose an ancestor in south central Virginia in the 1830’s look in Georgia. Losing an ancestor took me from the basement of the Halifax County, Virginia court house to the genealogy records of Georgia. Now I needed to learn about the Georgia Genealogy resources. Georgia is made up of 159 counties. Genealogical records for each county vary as is often found in the Southern states. Fires, floods and natural disasters account for many of the record losses. Marriage and probate records were recorded by the clerk of the Ordinary Court. Land records were recorded by the Clerk of the Superior Court. The Superior Court handled most civil cases as well. From 1805-1833, Georgia had a unique land lottery system to distribute lands that had been taken from the Cherokee and Creek Indians. Georgia Archives – Your starting place for Georgia genealogy research. Georgia’s Virtual Vault – part of the Georgia Archives – Examples of available records include deed books, colonial wills, and death certificates. Digital Library of Georgia – Records from 60 institutions and 100 government agencies. The Georgia GenWeb Project – A variety of resources provided by dedicated volunteers. Historical Georgia Maps – Historical maps dating back to the mid to late 1600’s. Vital Records – Site for the Georgia Department of Public Health. New Georgia Encyclopedia - This is a good resource on the history of Georgia. Family Search – Examples of Georgia records include Freedmen’s Bureau, probate and headright and bounty land records. Baptist Church Records – Historical Baptist church records at Mercer University. The finding aids are online, but most of the actual records are not. Contact the archivist for assistance. Georgia Land Lotteries – Information on each of the 8 land lotteries held between 1805-1833. If your ancestor participated in one of the Georgia land lotteries, know the eligibility rules for the participants. Clues to the participant’s age, marital status, arrival in Georgia can be gleaned. Are you researching African American ancestors in Georgia? These resources may be of help. AfriGeneas - A website devoted to African-American genealogy research. Be sure and check out their online community, too. Low Country Africana - African American Genealogy in SC, GA and FL - Beautiful website dedicated to African-American genealogy research of SC, GA, and FL ancestors. Freedmen’s Bureau Field Office Records, 1865-1872 (FamilySearch.org) – Includes records on rations, medical care, school reports and more. Genealogical societies at the state, regional and local levels provide a variety of helpful resources. Check out local county genealogy and/or historical societies specific to the locations of your ancestors. Often times, they have “an insider’s knowledge” on resources unique to an area or family. Share your favorite Georgia genealogy resources in the comments below! Lisa Lisson is a genealogist, blogger and Etsy-prenuer who writes about her never-ending pursuit of ancestors, the “how” of genealogy research and the importance of sharing genealogy research with our families. Specializing in North Carolina and southern Virginia research, she also provides genealogical research services to clients. In researching her own family history, Lisa discovered a passion for oral history and its role in genealogy research. You can find Lisa online at Lisa Lisson.com. The recording of today's webinar, "A Guided Tour of Cyndi's List 2.0" by Cyndi Ingle is now available to view for free for a limited time at www.FamilyTreeWebinars.com. This begins with a brief history of Cyndi's List, followed by an overview of how to navigate the newly updated site and how to tell when the site is updated. Learn how to effectively use this valuable resource tool as your jumping-off point onto the genealogist's Internet. If you could not make it to the live event or just want to watch it again, the 1 hour 48 minute recording of "A Guided Tour of Cyndi's List 2.0" PLUS the after-webinar party is now available to view in our webinar library for free for a limited time. Or watch it at your convenience with an annual or monthly webinar membership. This webinar recording is also available as a digital download for just $9.95. It includes the .mp4 and the syllabus for one low price. Click here to purchase. Or, subscribe for a month or a year and also have access to the recording and handouts for the duration of your membership. Use webinar coupon code - cyndi - for 10% off anything at www.FamilyTreeWebinars.com or www.LegacyFamilyTreeStore.com, valid through Monday, February 29, 2016. The War of 1812 Records - Preserving the Pensions by Rebecca Koford. March 2. In last week's Tuesday's Tip we talked about "Keeping Track of DNA Contacts in Legacy." This week we're doing the reverse by discussing the export of Legacy data for DNA purposes. I needed to upload new gedcom files for 23andMe, FTDNA, Ancestry and GEDMatch today. I needed to do this for myself, my mother and my uncle. When I upload a gedcom for DNA I strip it of everything except Births, Marriages, and Deaths (BMD). I export the direct line ancestors, siblings of the direct line and the spouses. Setting this up can take some time but there is a nifty little trick. On the EXPORT ITEMS screen there are two handy buttons, SAVE LIST and LOAD LIST. I set up the options exactly like I need for my DNA export and then I click SAVE LIST. I named the settings file "Stripped gedcom for DNA.gl8" You want to give your custom settings a descriptive name in case you save multiple sets of settings. In the screenshot you can see that I have checked all of the boxes excluding all of those items and in the "Export these items" box I have used the "Remove" button to take everything out of there except the BMD info. Don't forget the Privacy Options button to either exclude living people or change their name to Living. HINT: You will want the anchor person's name to show up (the person that took the DNA test) but you don't any additional personal information to upload. You can do this two ways. You can kill yourself off (figuratively speaking by entering a death date) and then remove the BMD info from the gedcom or you can let it print LIVING for yourself and simple go into the gedcom and change the name. This requires you to open the gedcom in Notepad and make the edits there which is a bit of an advanced skill. To make it easier, you can kill yourself off (so that your name will export) and then temporarily put privacy brackets around the BMD info you don't want to be made public. BMD = Births, Marriages, and Deaths. For video tech tips checkout the Legacy Quick Tips page. These short videos will make it easy for you to learn all sort of fun and interesting ways to look at your genealogy research. Michele Simmons Lewis is part of the technical support team at Millennia, the makers of the Legacy Family Tree software program. With over 20 years of research experience, Michele’s passion is helping new genealogists get started on the right foot through her writings, classes and lectures. She is the former staff genealogist and weekly columnist for the McDuffie Mirror and now authors Ancestoring, a blog geared toward the beginner/intermediate researcher. Join us and Cyndi Ingle for the live webinar Wednesday, February 24, 2016 at 2pm Eastern U.S. Register today to reserve your virtual seat. Registration is free but space is limited to the first 1,000 people to join that day. Before joining, please visit www.java.com to ensure you have the latest version of Java which our webinar software requires. When you join, if you receive a message that the webinar is full, you know we've reached the 1,000 limit, so we invite you to view the recording which should be published to the webinar archives within an hour or two of the event's conclusion. Cyndi is the creator, owner and “webmaster” of the award-winning web site Cyndi’s List of Genealogy Sites on the Internet,www.CyndisList.com, a categorized index to more than 335,000 online resources. In its first three years, Cyndi’s List was three times voted the best genealogy site on the World Wide Web. It helps millions of visitors worldwide each month and has been featured in the media and diverse publications, including ABC News, NBC News, USA Today, Time, Newsweek, Parade Magazine, Wired, Family Tree Magazine, Family Chronicle, and Internet Genealogy magazines. Cyndi has been interviewed for many television and radio broadcasts including ABC News, NBC News, the BBC, and National Public Radio. She has also participated in the Ancestors II television series on PBS. Cyndi, a genealogist for more than 35 years, is a past-member of the board of directors for the National Genealogical Society. Cyndi is an internationally known guest lecturer for various genealogical society meetings and seminars (http://www.CyndisList.com/speaking-calendar/). She has lectured for the Salt Lake Institute of Genealogy, GENTECH, Brigham Young University, the Federation of Genealogical Societies, the National Genealogical Society, the Washington Library Association, the Florida Library Association, the American Library Association and numerous local genealogical societies in the United States, Canada and the United Kingdom. Cyndi has authored numerous articles and three books. Before her life on the Internet, Cyndi worked as an international banker specializing in foreign exchange and computer networks. Cyndi, her son, Evan, and three Boston Terriers live in Edgewood, Washington. The recording of today's webinar, "Problem Solving with FANs" by Beth Foulk is now available to view for free for a limited time at www.FamilyTreeWebinars.com. Often the answer to climbing a genealogy brick wall is simply to go around it. By broadening our research to include our ancestor’s friends, associates and neighbors, we can find answers that were previously elusive. Further, we paint a much broader, richer story of the ancestor's life by including their FANs. This class deconstructs the FAN concept then demonstrates how to use them in analysis through multiple examples. If you could not make it to the live event or just want to watch it again, the 1 hour 50 minute recording of "Problem Solving with FANs" PLUS the after-webinar party is now available to view in our webinar library for free for a limited time. Or watch it at your convenience with an annual or monthly webinar membership. 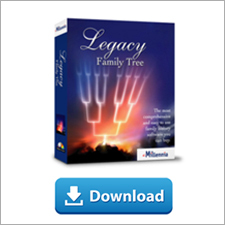 Use webinar coupon code - fans - for 10% off anything at www.FamilyTreeWebinars.com or www.LegacyFamilyTreeStore.com, valid through Monday, February 22, 2016. Many of us use Microsoft Word but how many of us know how to use it well? In his new Microsoft Word series on Legacy Family Tree Webinars, Thomas MacEntee makes using Word the right way easy for all of us. It's no mistake! Thomas has over 25 years experience working in the Information Technology field; this includes many years as a Microsoft Certified Trainer for Microsoft Word, Excel and PowerPoint. And the Thomas we know and love always makes learning seem so easy. Take advantage of this series to learn how to use one of the most under-rated tools in our genealogy toolbox! We're working hard to give our webinar subscribers the educational classes they need to maximize their genealogical research! All of these new classes are bonus webinars in the FamilyTreeWebinars.com library. The webinar previews are always free. While Microsoft Word – part of the Microsoft Office Suite – is one of the most dynamic software programs for document creation, various features can quickly frustrate even the most patient user. Learn the basics of Microsoft Word including “why” certain functions and features operate the way they do. Topics to be covered include basic document setup, styles, formatting and more. We've got a brand new line up of speakers for 2016! All live webinars are free to watch.